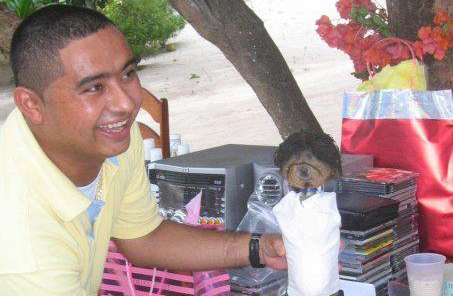 Marlon Castro was known to many as the ever smiling guy who was friends with everyone. The news of his death is shocking to many, and scores are mourning the loss of a great guy. His smile and effervescent spirit however, remains as a wonderful memory to all those who knew and loved him. He leaves behind his wife and two children, and many, many friends. The San Pedro Sun extends its deepest condolences to his loved ones in this time of great loss. May Marlon Castro rest in peace. "A friend is one of the nicest things you can have, and one of the best things you can be. Friendship isn't a big thing - it's a million little things..."
San Pedro Lions fundraise for Haiti today!